Are you looking for the best Places to eat out or grab a great coffee? The village of Barwon Heads offers a great variety of places to eat . You are very much spoilt for choice when staying at 100 Hitchcock. Here are the top 3 of the best restaurants Barwon Heads that the locals’ love, and why they are so special. This restaurant was once the old Fire Station and consistently provides great food, with the menu changing rather frequently. As with most seaside towns, restaurants come and go each year. No matter when you eat here, it is always consistently good. 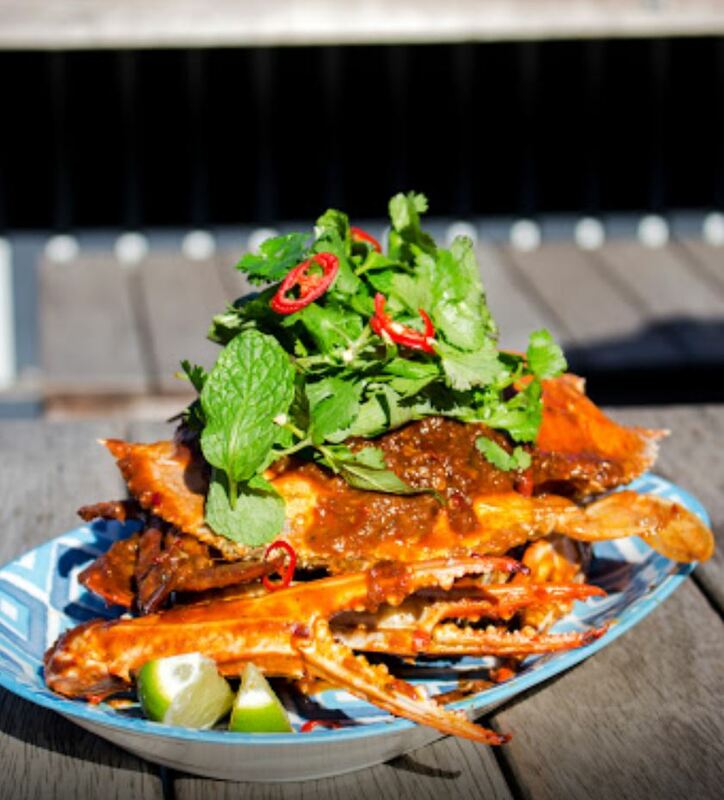 Beach House serves up a modern Australian cuisine for breakfast, lunch & dinner. Great range of local wine and craft beer. If you love seafood, I highly recommend the Bouillabaisse – chilli & tomato broth packed with prawns, scallops, white fish, calamari & mussels. Yum! They are top of the list of the best restaurants in Barwon Heads for seafood. Just a block away from 100 Hitchcock is my favourite place to delight the senses for brunch– Starfish Bakery. Creativity and fresh produce is the key to their success as an institution in Barwon Heads. Furthermore, Their staff are consistently friendly and helpful. I highly recommend breakfast here, especially “green eggs and ham”. Oh, and their muffins are to die for. So what makes this place so special? It’s the owners, Hong & Nick and their global hospitality experience. Hong grew-up around the amazing aromas of the market, where her family owned a food stall. Her dream was to one day own her own restaurant and worked for some of the very best resorts in Vietnam. 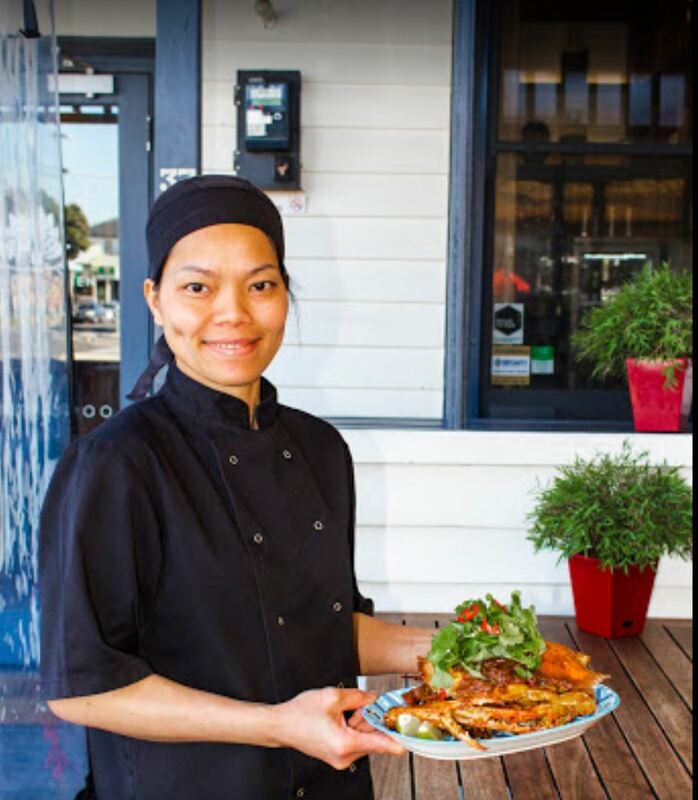 She incorporates a perfect blend of Vietnamese cooking with French influences. Most notably, they have both worked in 5-star resorts, so you can understand why their service is so good too! Do you like Banh Mi? I know this dish is really basic, however, their dish is my favourite! I don’t know their secret ingredients, however, it is the first thing I grab when arriving in Barwon Heads for the weekend. Check out their menu and book or arrange delivery here. And now, try out the best restaurants in Barwon Heads and tell us what you think! Book your stay at 100 Hitchcock below. You may also like to read our guide on the best places to buy great food in Barwon Heads here. Images with thanks to the restaurants themselves.